Everyone reading this knows of the long history of Stearman biplanes, and that it is not uncommon to find one of them at most any airshow or aviation event. But what you might not know is that only 41 of Stearmans were “Speedmail” versions, a heavier, more powerful model specifically designed to carry more mailbags along the “Contract Air Mail” routes of yesterday. Of that group of airplanes, only seven remain flying today, according to the flight’s website. Those “C.A.M.” routes began 100 years ago, and to celebrate that anniversary, three perfectly-restored vintage Speedmails recently flew a reenactment of the Contract Air Mail Route 8 (C.A.M. 8) from San Diego to Seattle. 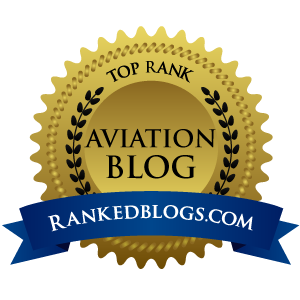 After departing Gillespie Field in San Diego, the flight made stops in Los Angeles, Bakersfield, Fresno, San Francisco and Redding in California; Medford and Eugene in Oregon; Vancouver, Olympia and finally Paine Field in Everett, just north of Seattle, Washington. I was lucky enough to see them on their stop in Eugene. As I drove to KEUG, I noticed the flight of three out my window as they arrived out of the south at 6,500-feet descending. On final, each Speedmail looked a bit stronger, beefier, more rugged even from a distance than your run-of-the-mill Stearman. They made a pass over the runway before landing and parking at the only FBO on the field, Atlantic Aviation. U.S. Air Mail Pilot Addison Pemberton doing his "official"
duty of stamping letters at the Eugene stop. On hand to greet them were a group from my local EAA chapter1457, several vintage aircraft enthusiasts, and reps from the United States Postal Service, because this flight was not just for yucks, it was a real air mail flight. USPS even swore in the three Speedmail pilots as “official” air mail pilots, with the rules that came with that title, including dressing in an official air mail pilot uniform of a light brown shirt and black tie. Back in those days, professional pilots – even those schlepping sacks of mail – wore ties at all times. At the USPS tent, “official” air mail carried by the three Speedmails were behind the table where people were getting their letters hand-cancelled with a special C.A.M. 8 stamp. The Pembertons out of Felts Field in Spokane, WA are about as close to aircraft restoration royalty you can get in the United States. Addison, his son Ryan and their families do amazing work, and it shows as NC485W is a simply beautiful airplane. Addison picked up the remaining parts of his Speedmail from David Tallichet’s storage facilities in California and Kansas, paying $6,000 for a clear title in 1989. Over the next three years, the Wright-powered 4CM-1 was restored/rebuilt to a Sr. Speedmail, 4DM configuration with a 450-HP R-985 Pratt and Whiney engine and a two-place front seat with dual controls. One bit of trivia for you is that NC485W was featured in the Shirley Temple movie “Bright Eyes” while being operated out of Grand Central air terminal in LA. N489W started life in 1931 flying out of Chicago to St. Louis, Atlanta and Dallas for American Airways, the predecessor of American Airlines, on August 5, 1931. It was converted three years later to a two-cockpit aircraft with full controls for "blind flying instruction” before being sold to a crop duster in Mississippi to fly as an aerial sprayer for the next 35 years. Hamilton said that in 1999, Bud Field restored his Speedmail as an authentic Standard Oil Corporate aircraft, painted in their red, white and blue color scheme with large wheel pants. The airplane was flown very little in the ensuing 17 years before Hamilton purchased the aircraft in 2016, completed the restoration and made several improvements. On November 12, 1929, Keith Scott (Ben’s father) placed his verbal order for a brand new Stearman Model 4E biplane, called a Speedmail Junior. The Junior nomenclature was to differentiate the passenger type from the Seniors, which were mail planes. It was faster than most military pursuit planes, faster than the mail planes of the day. It was also larger than most biplanes, seating one pilot in the rear and two passengers in the big front cockpit. 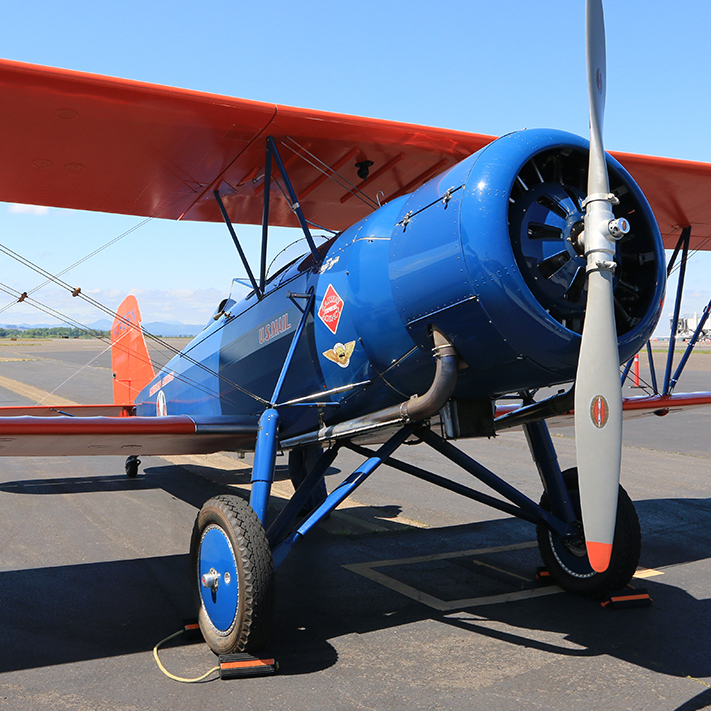 In 1942, Keith Scott sold the Stearman to Carbury Dusters in Fresno and joined Douglas Aircraft as a production test pilot. The Speedmail became one of several crop dusters, then was left to dissipate in place as newer equipment came out. From 1968 to 1972 it was restored by well-known antiquer Robert Penny, Jr., with the help of Ansel Smith, the mechanic who cared for it from 1930 to 1942. The airplane spent the next ten years in the Flying Lady Museum in Morgan Hill, California until 1982 when a United Airlines Captain from Denver purchased the airplane. At the time it was the only Model 4E Speedmail flying, so it attracted a lot of attention and won many awards. Later, an old friend sent Keith a newspaper article about it and that led to contact with Dan Wine, the Speedmail’s owner. Eventually Dan came to Reno and Keith’s son, Ben, purchased the airplane for the family’s Cadillac dealership, Scott Motor Company. 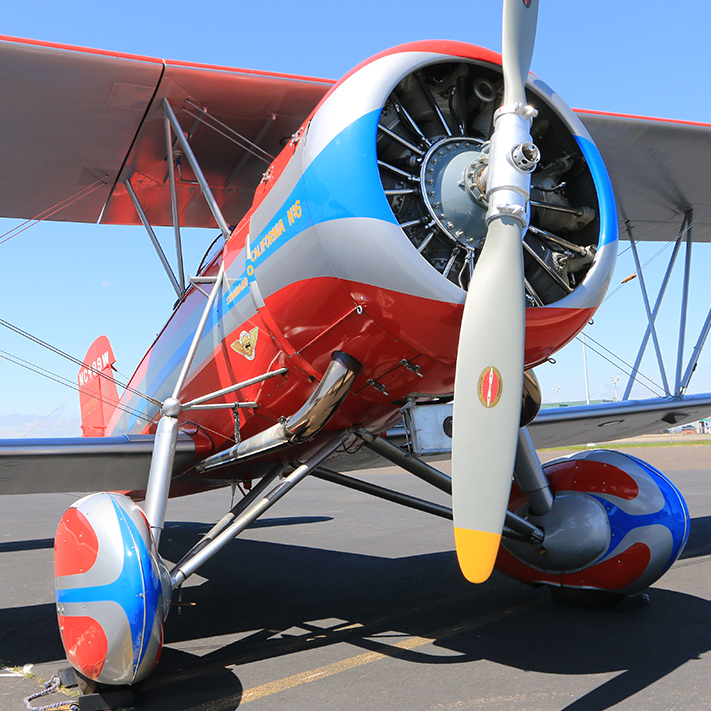 On October 17, 1985, Dan delivered the Stearman to Reno. His last entry in the logbook was: “Battle Mountain to Reno. Returned to original owner, Keith Scott. Welcome home!” The first passenger was, of course, Keith Scott. Perhaps, at 81, he was taking his first ride in the passenger front cockpit. Less than a year later he was to have his last ride, as Dan and Ben scattered Keith’s ashes over Mt. Rose. After Rick Atkins of Ragtime Aero in Placerville, California completed a full restoration in 2003, Ben flew the big Speedmail Oshkosh where it won Grand Champion Antique. Later that year they participated in the National Air Tour, a 4,000-mile barnstorming tour of the eastern U.S. by 30 airplanes, all built before 1932. 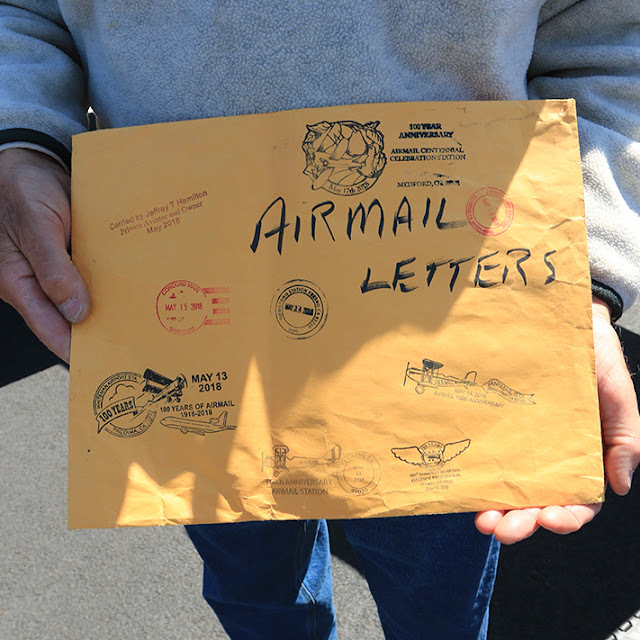 The Scotts like to get their Speedmail out to the public to keep interest in vintage aviation alive, so in 1998 and 2008, N663K participated in several Air Mail reenactment flights, including one from New York to California. At 88, the “Grand Old Lady” is as beautiful as ever. 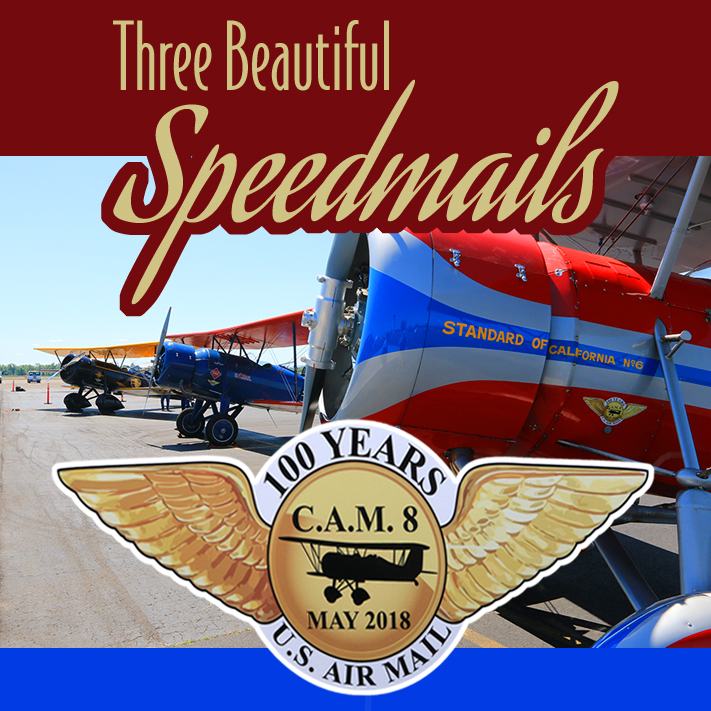 The flight of these three Speedmails was to celebrate 100 years of USPS Air Mail service, but C.A.M 8 was contracted in 1925 to Vern C. Gorst, who planned to fly both passengers and mail as Pacific Air Transport. It is interesting to note that the one-way passenger fare for the Seattle to Los Angeles was $132 in 1927, which $1,841.18 in 2018 dollars. 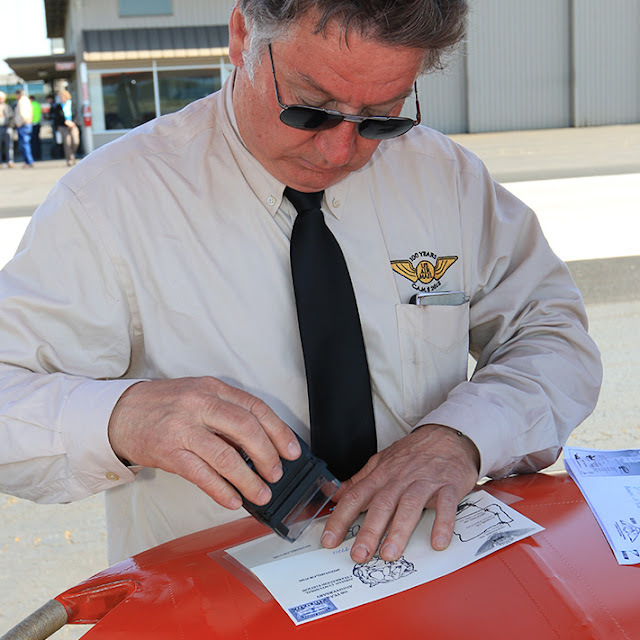 I have written several times on this blog about the importance of the master restoration artists who keep our fleet of vintage airplanes flying. Wrap your mind around the skill it takes to locate a pile of rusted parts with a data plate dangling precariously from one broken bit and restore that to a perfect copy of the ship that is “better than new.” These craftsmen used to be found at every patch in every town in America, people who could cobb a Jenny back to life and make it fly again after being piled up in a farm field. But today, only a small handful of these master restoration artists are left, and just like every human, the biological clock is ticking. We are all dying, and when these craftsmen go west, I pray their next of kin has the desire and skill to keep the craft alive. Because if they don’t, if their kids blow off that thing their dad did out in the shop working late nights whittling away at a wooden wing spar, the craft may eventually die. But for now, ships like these three Speedmails continue to grace the skies of the West. They may be flying the same routes for the same reasons, but there are stark changes to be found. Instead of lighted beacons every few miles to guide the pilots, a peek into the cockpit of one of the three Speedmails stopped at Eugene revealed an iPad being used, no doubt running Foreflight. My guess is the first Air Mail pilots who flew C.A.M. 8 would still recognize the airplanes, but the gizmos in the cockpit would blow their mind. With these three Speedmails, time literally stands still in 1931, while at the same time marching proudly forward by using the best technology available. If you see are planning to attend EAA AirVenture Oshkosh this year, make sure to stop over in Vintage for a few hours and personally thank the men, women and families that keep these old airplanes flying. 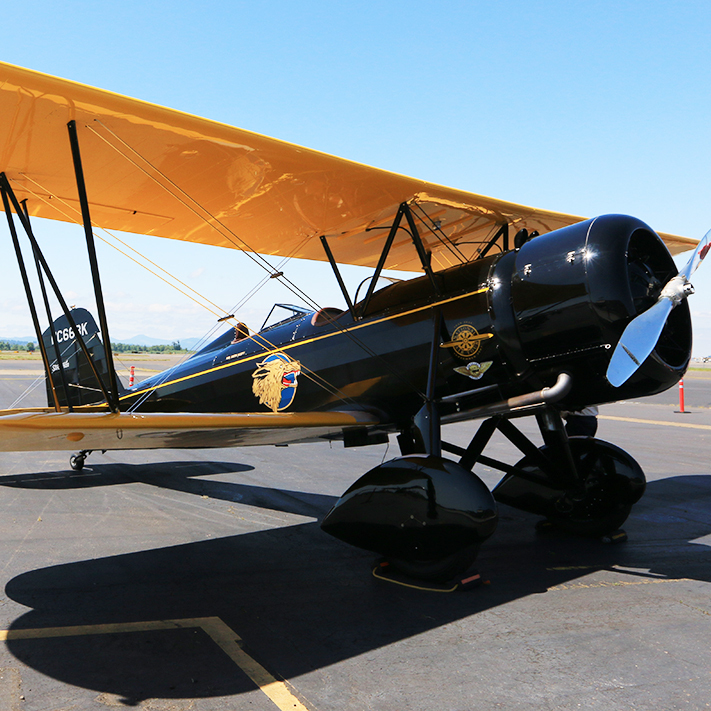 It takes a lot of money, time and dedication to show up with an eighty-year-old airplane that has been brought back airworthy condition and keep that way. 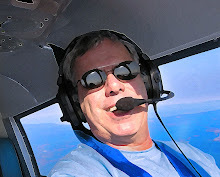 And if I see Addison Pemberton, Jeff Hamilton or Ben Scott at Oshkosh this coming July, you can be sure I will shake their paw and thank them for hauling the mail and keeping vintage aviation alive.